As reported earlier, Vikram and Trisha will be reuniting again for Hari’s action cop entertainer Saamy 2. What we here now is Keerthy Suresh is also a part of this prestigious project, and she will be playing one of the main female leads. Keerthy Suresh’s career is at an all-time high; she very recently completed a film with Vijay (Bairavaa). She is currently with Suriya in Thaana Serndha Koottam. The Remo actress also has the untitled Pawan Kalyan's film and the Tamil/Telugu bilingual of Savitri biopic. 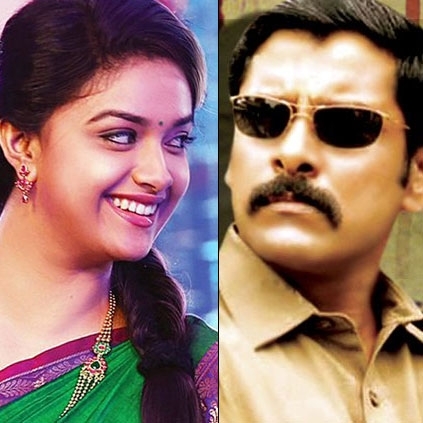 Now with Saamy 2 coming in, the next 12 months is going to be super busy for Keerthy Suresh.